Advancing SDG 1 no poverty and SDG 8 decent work and economic growth, this study examines trauma theory in the context of family separation due to Filipino labour migration. The experiences documented build a larger global vision of the misery of long-term family separation and prolonged labour migration experienced by Filipino labour migrants around the world. This study makes important links between SDG 2, SDG 5 and SDG 13 through its examination of how husbands and wives within the same household perceive climate risks and use group-based approaches as coping strategies. The findings indicate that options for adapting to climate change closely interplay with husbands' and wives' roles and responsibilities, social norms, risk perceptions and access to resources. A higher percentage of wives were found to adopt crop-related strategies, whereas husbands employ livestock- and agroforestry-related strategies. This article is taken from the series "The View From Here", in which farming women from around the world give an insight into rural life. From the challenges of making an income to support the family and local economy to dealing with extreme weather and untamed lands, these women give their unique perspective on working in a male-dominated industry. It helps to highlight the importance of SDG 5, Gender equality. SDG 5 aims to achieve gender equality and empower all women and girls. But how do you measure empowerment? In The Lancet Global Health, Fernanda Ewerling and colleagues use a set of questions from surveys routinely carried out in Africa to develop a survey-based women’s empowerment index (SWPER). The questions include whether a woman thinks being beaten by her husband is justified and who makes household decisions. The authors validate the index externally and demonstrate that it can be used to compare gender empowerment across African countries. 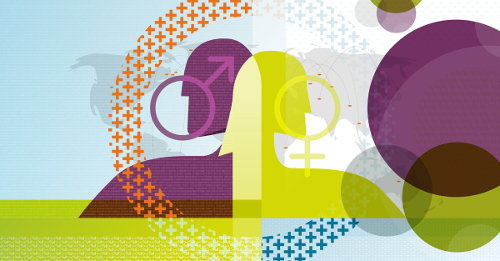 This paper looks at the gender gap in research evaluation, using detailed data on 180,000 research papers evaluated during the Italian national research assessment (VQR 2004–2010) conducted by the Agency for the Evaluation of Universities and Research Institutes (Anvur). The most important empirical finding is that there is a significant gender gap in research evaluation. This paper contributes in particular to SDG 5 and 9. This study illustrates how consumer social risk footprints can assist in achieving the Sustainable Development Goals (SDGs). For their social footprint, The authors select 4 indicators related to five of the UN's SDGs: gender equality (SDG 5 also 8.5 & 8.8); mother and child health (SDG 3, especially 3.1 & 3.2); governance (SDG 16, especially 16.5 & 16.6); and access to clean water (SDG 6, especially 6.1 & 6.2). The results discussed are important for the UN in developing partnerships to address the SDG's and for organisations such as the World Bank, Trade Unions and NGOs' work towards a fairer world. India has the world's highest burden of child undernutrition and that despite increased economic growth and child welfare it is continuing to rise. This paper examines the links between gender inequality and a child’s nutritional status, highlighting the interconnections between SDGs 2 and 5. 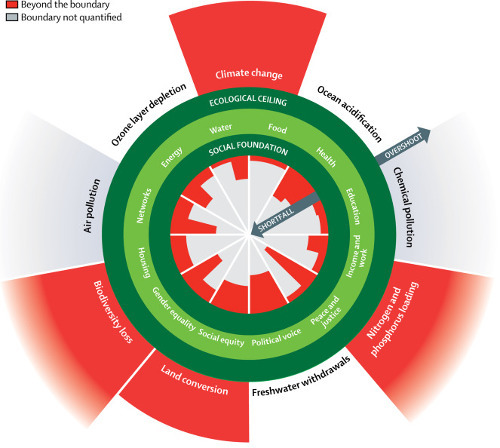 This brief article presents a renewed and strengthened version of Kate Raworth’s well-known Doughnut model, which describes the social and ecological boundaries to human wellbeing. The model shows twelve dimensions and their illustrative indicators are derived from internationally agreed minimum standards for human wellbeing, and it relates to nearly all of the SDGs. The prevalence of HIV among transgender women in Brazil is not known. A respondent-driven study in Rio de Janeiro assessed the prevalence of HIV and other sexually transmitted infections and described the characteristics predictive of newly diagnosed HIV in this population. These findings will improve and direct future sexual health-care service provision, as well as the attainment of SDG 3, in Brazil.